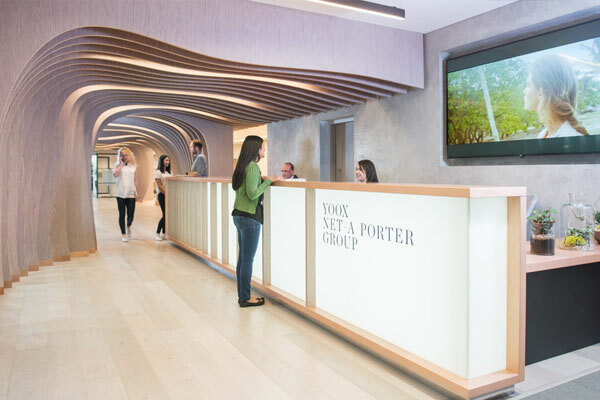 The state-of-the-art YOOX NET-A-PORTER GROUP Tech Hub, located in the White City neighbourhood in West London, aims to create a new centre for digital expertise. The YNAP Tech Hub has been built to accelerate innovation and deliver best-in-class technologies. The main objectives are to further strengthen the Group’s partnerships with many of the leading brands in fashion & luxury and provide an unparalleled customer experience. The 70,000-sq. ft. space at White City Place will bring together YNAP’s UK tech teams under one roof. There will be 500 staff based at the Tech Hub, with a further 100 jobs created over the next two years. The YNAP Tech Hub is designed by award-winning British architects, Grimshaw, which are committed to providing architecture of the highest calibre, following the principles of enduring and sustainable design. Grimshaw has created a future-focused environment to reflect YNAP’s unique position at the intersection of fashion & technology. The office is designed to inspire creative ways of working, as the Group seeks to attract top digital talent. It will facilitate a mobile working culture, while supporting seamless collaboration with the Group’s other global offices. Click here for a virtual tour of the state-of-the-art YNAP Tech Hub. 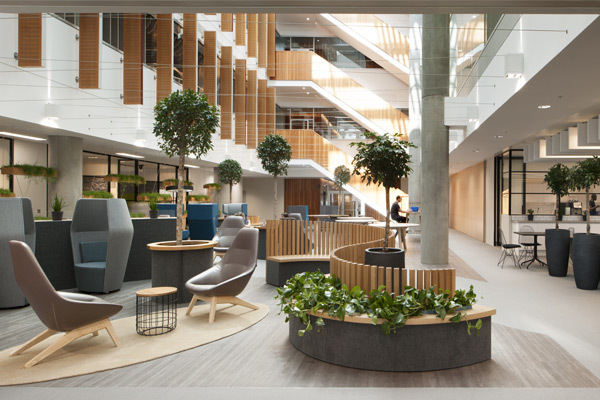 Key to YNAP’s growth strategy, the Tech Hub is part of a €500 million investment in technology and logistics across the Group, to double the size of the business by 2020. Work focuses on developing Artificial Intelligence capabilities, such as personalization or image recognition, and creating the next wave of mobile technologies, which will keep YNAP in the vanguard of digital innovation. The R&D team is focused on creating disruptive shopping experiences using Artificial Intelligence, with engineers working to deliver best-in-class technologies for unparalleled customer experiences. As part of its plan to invest in education, share knowledge and support the local community, YNAP has partnered with London’s world-famous Imperial College, whose White City campus is under construction, to launch an initiative to teach local children from underprivileged backgrounds aged 8-14 the basics of coding. The YNAP Tech Hub is located in the White City Place: a new and prestigious business district in West London. 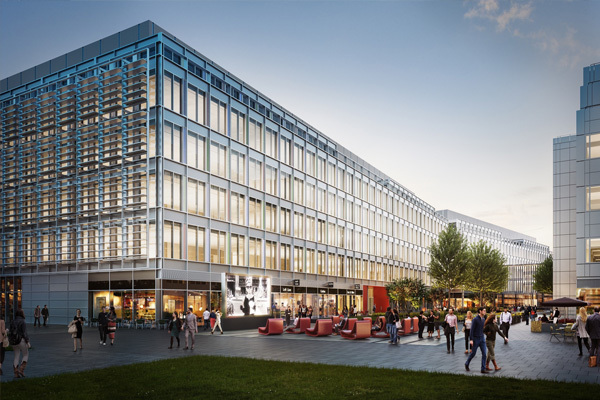 It will play a key role in the White City regeneration project, which is transforming the neighbourhood into one of London’s most exciting live-work-play super hubs for technology, creativity and innovation.